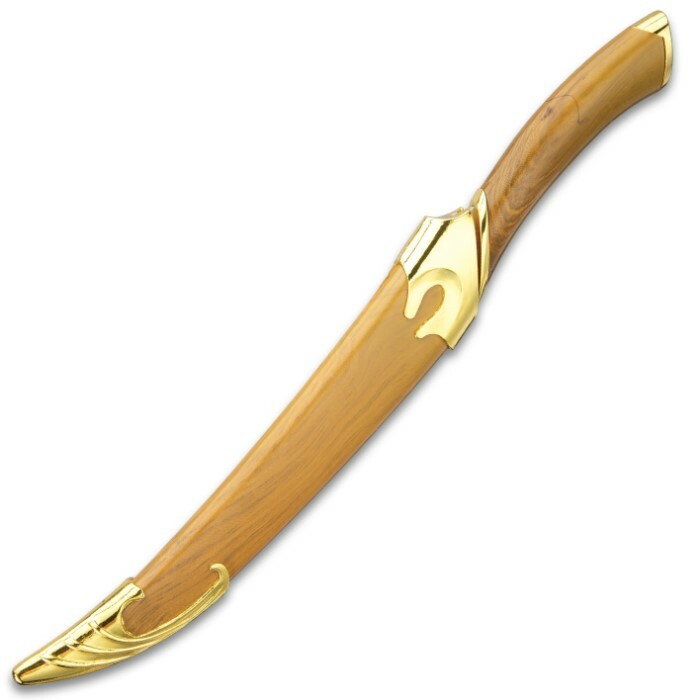 Our Miniature Wood Glen Fantasy Sword is a delicate-looking piece of sword artistry but don’t let that fool you! 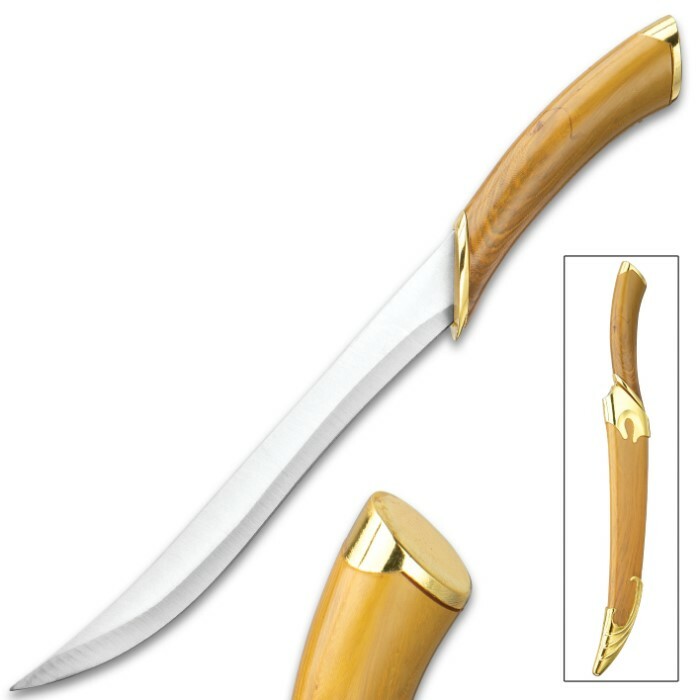 The miniature sword has a keenly sharp, 7” stainless steel fantasy sword blade with a slender and graceful profile that has an edge that will definitely draw blood. 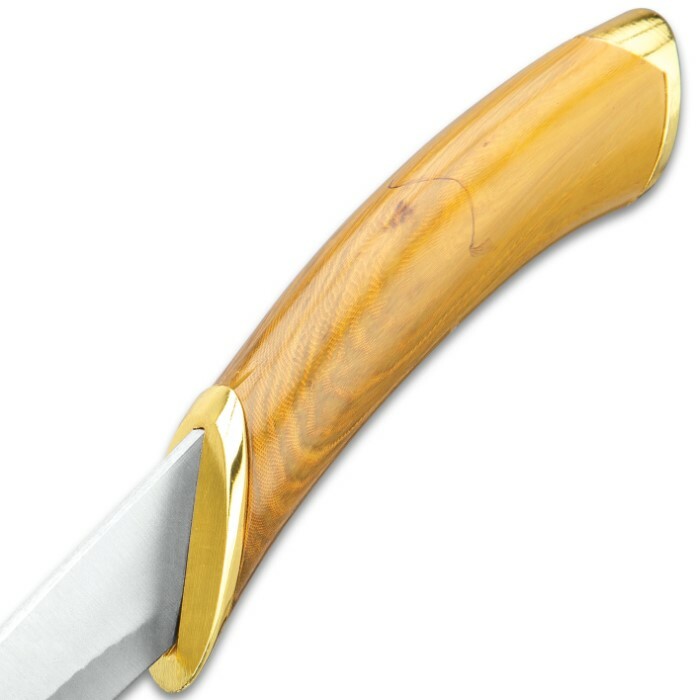 The TPU handle is crafted to look like genuine natural wood with a simulated wood grain, complemented by gold metal accents. 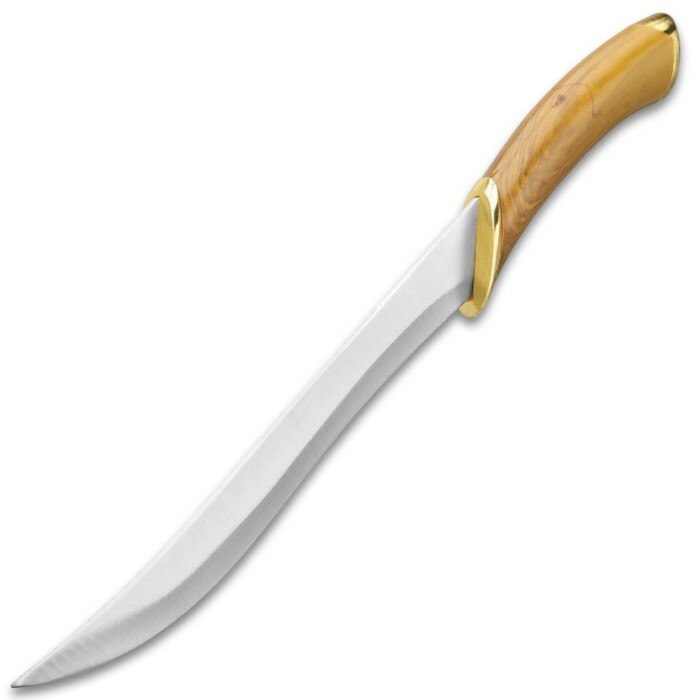 The 10” overall replica fantasy sword is perfectly matched by its TPU scabbard, which has the same wood grain and gold accents.